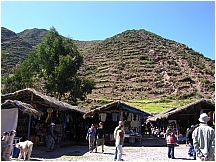 Free pictures of the Incas' Sacred Valley (El Valle Sagrado de los Incas), near Cusco, Peru. 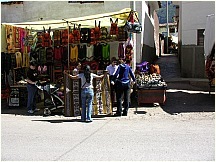 There are two other sets of Cusco pictures, one from walking around the city, and the other from the "City Tour". 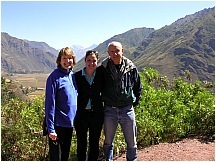 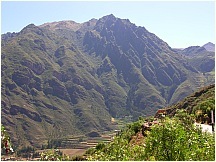 The Sacred Valley (El Valle Sagrado de los Incas) is a valley in the Andes of Peru, close to the Inca capital of Cusco. 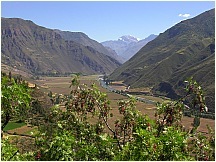 It is fed by numerous rivers which descend through adjoining valleys and gorges, and contains numerous archaeological remains and villages. 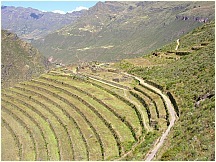 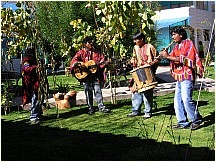 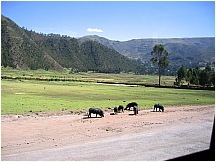 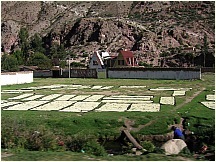 The valley was appreciated by the Incas due to its special geographical and climatic qualities. 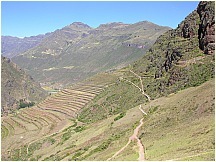 It was one of the empire's main points for the extraction of natural wealth, and the best place for maize production in Peru. 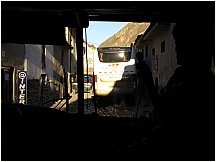 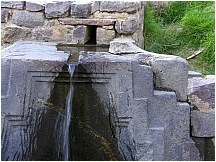 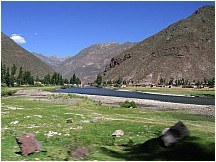 The Sacred Valley is generally understood to include everything between Písac and Ollantaytambo, parallel to the Urubamba River, or River Vilcanota or Wilcamayu, as this Sacred river is called when passing through the valley. 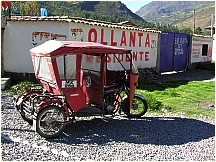 Cusco (also Cuzco), and in the native Quechua language Qusqu, is a city in southeastern Peru, near the Urubamba Valley (Sacred Valley) of the Andes mountain range. 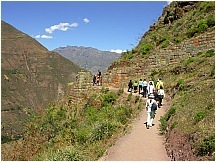 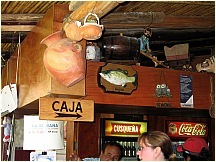 It is the capital of the Cusco Region as well as the Cusco Province. 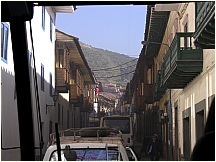 The city has a population of about 300,000, triple the population it contained just 20 years ago. 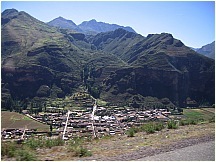 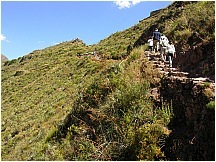 The altitude of the city, located on the eastern end of the Knot of Cusco, is around 3,500 m (11,500 feet). 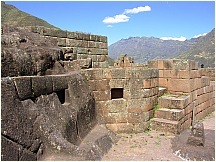 The historic capital of the sun-worshipping Inca empire, it has been found in 2006 to be the spot on Earth with the highest ultraviolet light level. 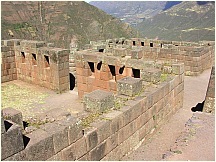 Cusco was the capital of the Inca Empire. 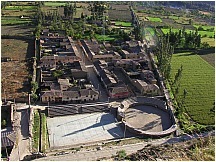 Many believe that the city was planned to be shaped like a puma. 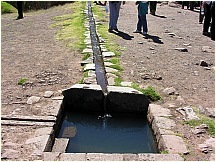 A road led from each of the four quarters to the corresponding quarter of the empire. 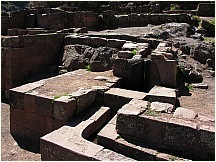 Each local leader was required to build a house in the city and live part of the year in Cusco, but only in the quarter of Cusco that corresponded to the quarter of the empire he had territory in. 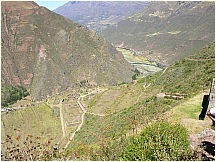 After Pachacuti, when an Inca died his title went to one son and his property was given to a corporation controlled by his other relatives (a process called split inheritance), so each title holder had to build a new house and add new lands to the empire, in order to own the land his family needed to maintain after his death. 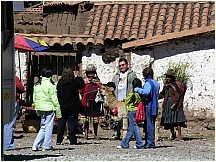 The first Spaniards arrived in the city on November 15, 1533. 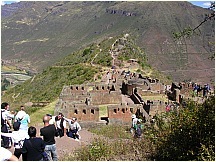 Spanish conquistador Francisco Pizarro, officially discovered Cusco on March 23, 1534, naming it the "Very noble and great city of Cusco". 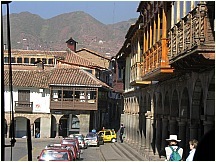 The many buildings constructed after the Spanish conquest are of Spanish influence with a mix of Inca architecture, including the Santa Clara and San Blas barrios. 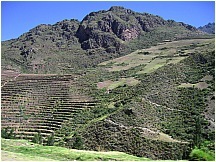 The Spanish undertook the construction of a new city on the foundations of the old Inca city, replacing temples with churches and palaces with mansions for the conquerors. 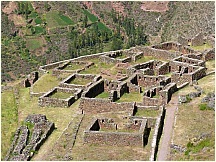 During the colony, Cusco was very prosperous thanks to the agriculture, cattle raising, and mining as well as the trade with Spain. 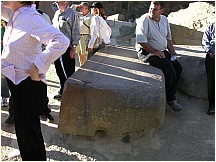 This allowed the construction of many churches and convents, and even a Cathedral, University and an Archbishopric. 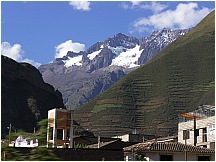 Often, Spanish buildings were juxtaposed atop the massive stone walls built by the Inca. 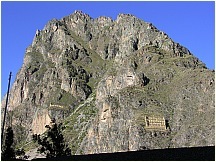 A major earthquake in 1950 badly destroyed the Dominican Priory and Church of Santo Domingo, which were built on top of the impressive Coricancha (Temple of the Sun). 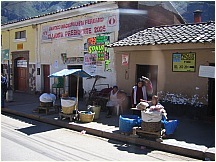 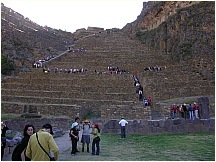 The city's Inca architecture, however, withstood the earthquake. 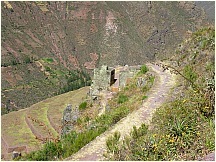 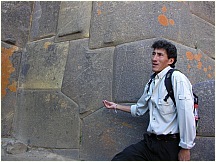 Many of the old Inca walls were thought to have been lost after the earthquake, but the granite walls of the Coricancha were exposed, as well as many walls throughout the city. 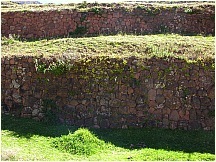 While some wanted to restore the buildings to their colonial splendor, a contingent of Cusco citizens urged city officials to retain the exposed walls. 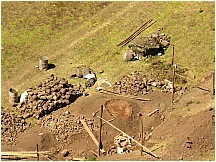 Eventually they won out. 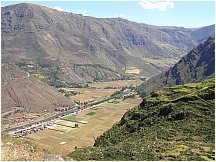 Cusco was also hit by a major earthquake in 1650.